For Glenz Hong of Adone Image, the fast speed which his customers want their jobs done keeps him on his toes. “Often, they need the printing done yesterday, so we constantly have to work at high speeds to meet their demands,” says Hong. Enter the Epson S-Series printer. Adone Image bought two of the S80670 model in September 2018 and have been flying through finishing print jobs at high speeds ever since. Adone is a large format printing company, printing material for exhibitions, events and promotions for shopping malls. Hong estimates that he can now finish print jobs 50% faster with his Epson printer compared to his previous printer. 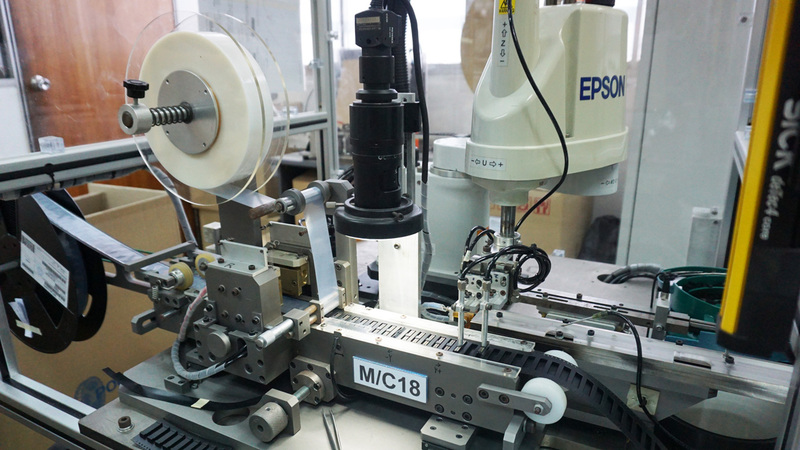 “The speed of Epson is what’s most impressive, what used to take us two to three days now takes half the time. The setting of the colours is very easy, which helps save a lot of time,” Hong says. Adone Image often has to print human faces and to print an image which has a skin tone that is natural and smooth is often the most challenging print job around. This is especially true for repeat jobs, where Adone needs to achieve colour consistency to make sure that the prints look the same. “For other printers that we used, today the print looks ok, tomorrow the print looks different. Also we had to spend a lot of time monitoring our previous printer very closely and do a lot of quality control. 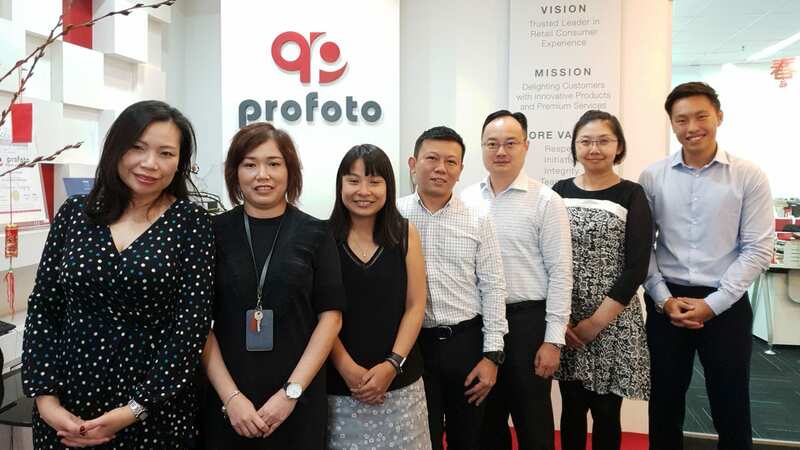 With Epson, we don’t have to spend so much manpower monitoring the print job to achieve consistent repeat jobs – our Epson printer is convenient, cutting down on time wastage,” Hong says. Also, Adone had to do a lot of testing through test prints with their previous printers which now they don’t have to do since they’ve been using the Epson printers. Having to do many test prints in the past meant wasting manpower hours and incurring high media costs, which they can now avoid thanks to their new Epson printers. “I estimate we save around 30%-50% with our Epson printers compared to before,” Hong says. Hong also likes the fact that his Epson printer hasn’t had any faults since they bought it. “We’ve reduced downtime because we haven’t had to send the Epson printer for servicing yet,” he says. In addition, Hong says he chose Epson because they offer a two year warranty, compared to competing printers which only come with a one year or no warranty. 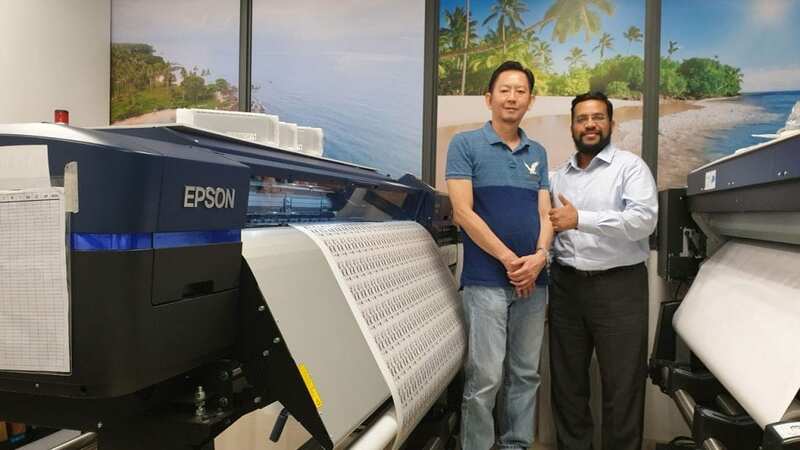 “The two year warranty shows that Epson is confident with their product and is one of the key reasons why we decided to buy the Epson printer,” Hong says. The ink cost for Adone’s Epson printers is cheaper than their previous printer, an advantage which Hong points out. “Epson’s 700ml ink lasts as long as their competitor’s 1 litre ink, which is a 30% savings,” Hong says. Their Epson printer has also helped them to save space. Instead of running 4 machines, with Epson, they only need 2 machines, which has enabled Adone to move into new and smaller offices in November last year. Having studied the benefits of Epson’s S-Series printers, USC decided to work with Epson last year. The three things that attracted them to the Epson printers were the warranty, precision core printhead technology and high colour gamut. 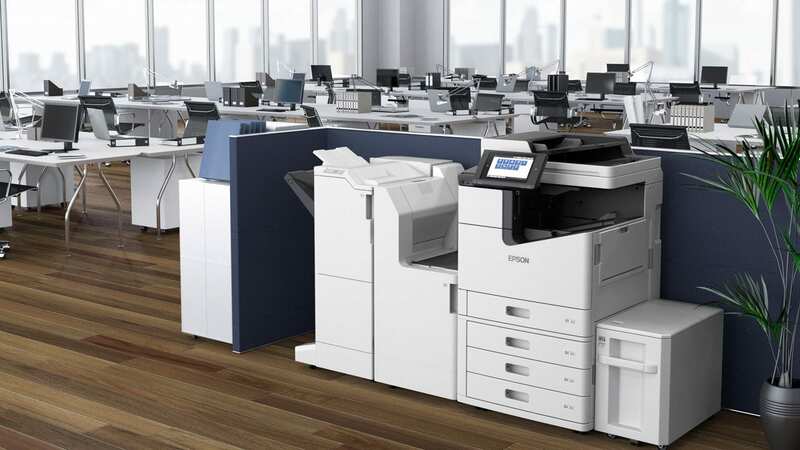 With impressive speeds and superior colour performance, Epson S-Series printers are poised to help companies like Adone and USC rise to greater heights in the large-format printing space.